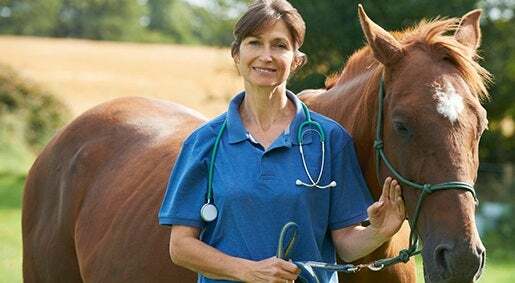 In this article we look at the most common vaccinations available for horses in New Zealand and why it’s important to protect your animals. Vaccines are an essential part of equine health management. Horses can need vaccinations to protect them against common and potentially deadly diseases. In this month’s Pawprintz, we’ll give you a rundown of the main vaccinations available for horses in New Zealand. There are three major vaccinations you should consider for your horse and discuss with your vet. These are tetanus (lockjaw), strangles and herpes (EHV). Tetanus is a disease commonly found in manure and soil. It enters the body through wounds, and puncture wounds are especially susceptible. A horse can also get infected through the intestine after eating contaminated soil or droppings through intestinal ulcers. Strangles is a highly infectious and contagious disease that leads to lymph node abscesses in a horse’s neck and face. If a horse shows signs of infection, they should be isolated with separate handling. Although the strangles vaccination doesn’t fully prevent strangles, it does reduce the likelihood of a horse getting the disease and if a fully vaccinated horse does get strangles, it tends to be less severe. To vaccinate against strangles, three injections are required two weeks apart, followed by annual boosters to maintain immunity. Equine Herpes Virus causes a variety of diseases, most commonly linked to respiratory diseases. There is currently no specific treatment for EHV infections although antibiotics can be issued if secondary bacterial infection is suspected. Currently, the best way to protect against Equine Herpes Virus is to vaccinate your horse against the virus. The vaccination schedule begins with the first vaccination when foals are 4-6 months old. A second dose should be given 4-6 weeks after that and then a third dose at 10-12 months. After this, booster injections are required. If your horse travels to high risk destinations with other horses on the premises, the EHV vaccination should be considered. If you have a horse and are considering vaccinations to help prevent diseases and infections, check with your vet to see what will best suit your individual horse’s needs.